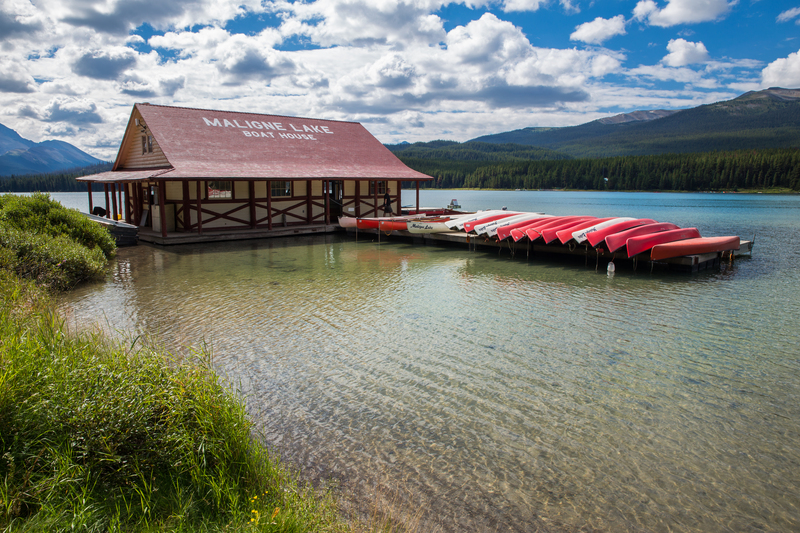 If you’re visiting Jasper, you’ll want to visit Maligne Lake, which was our first stop on Thursday morning. 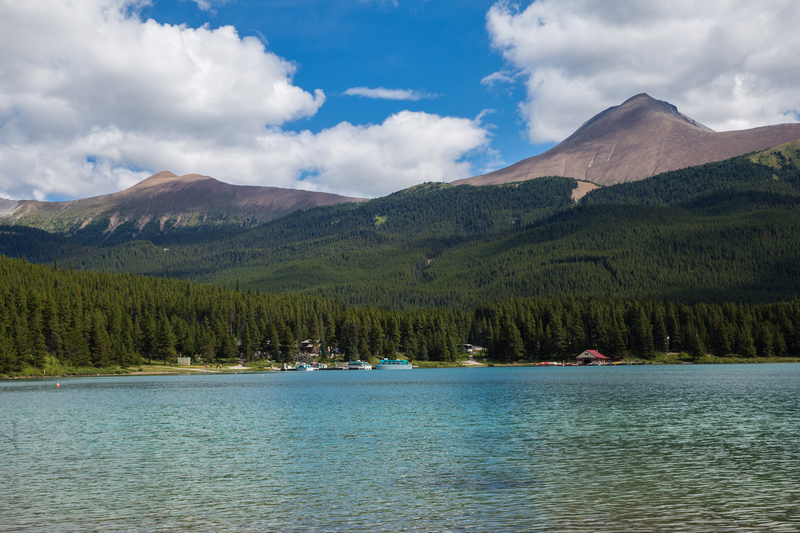 Another of Canada’s beautiful lakes, Maligne Lake is perhaps best known for its beautiful color and Spirit Island (an adventure for next time). Brewster runs cruise tours of the lake for $65. 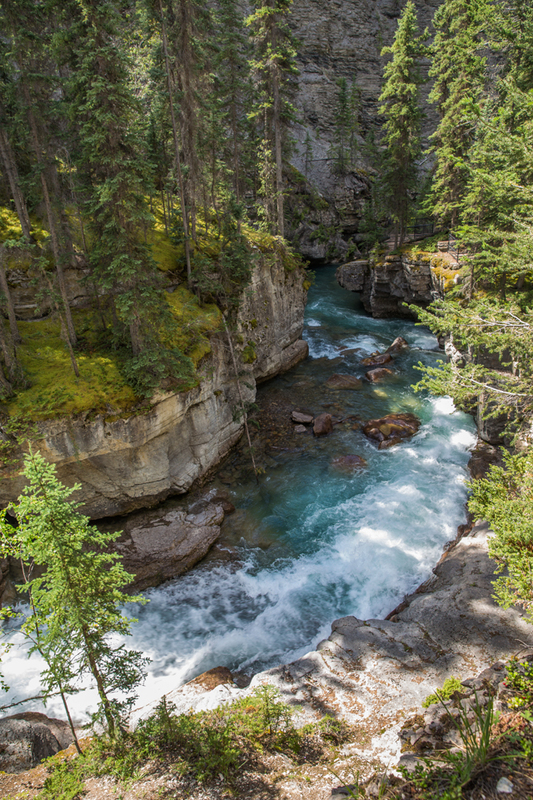 Kayaks are also available, if you’re in the mood for some paddling. 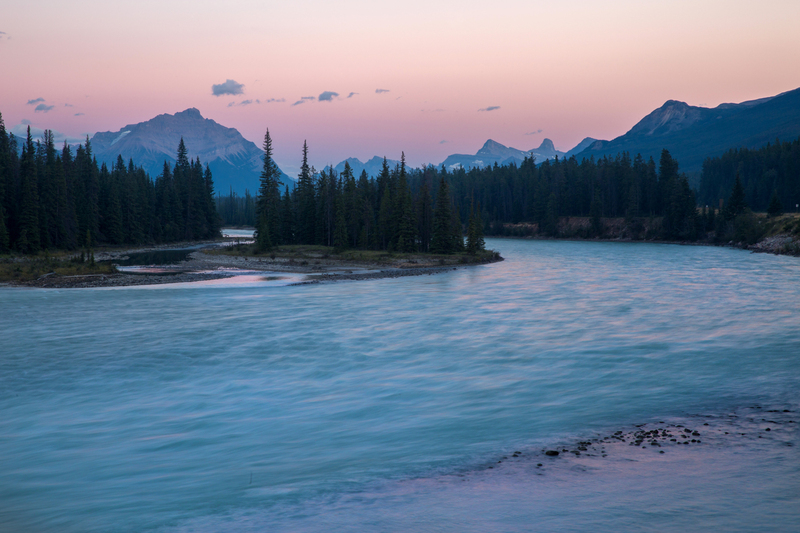 Leaving Maligne Lake, we returned the way we had come and made our way to Medicine Lake. 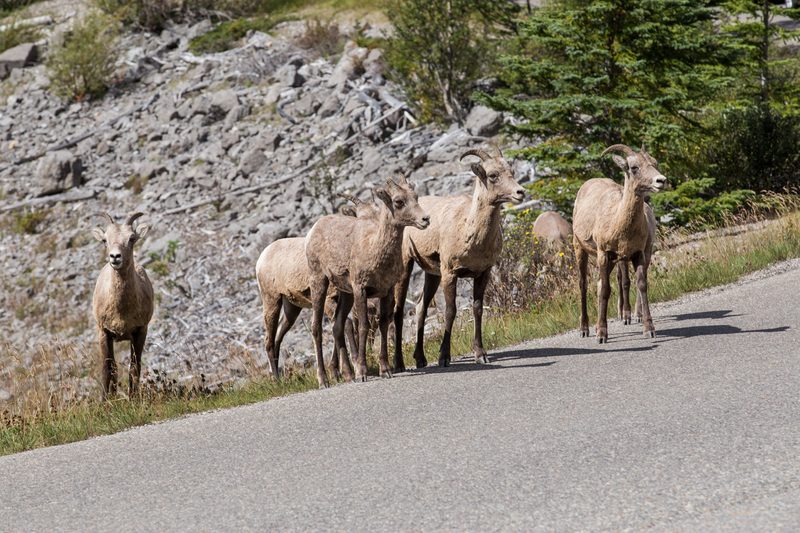 Along the way, we stopped as some bighorn sheep were crossing the road which had attracted a number of cars to stop and take photos. It’s always a treat to see wild animals in their natural habitat, but important to also remember that these animals are WILD. A man passing by, walked up to one of the sheep and patted it on the head. Julie and I were surprised when the sheep did not retaliate with force, perhaps it was just as confused by the moment as we were. 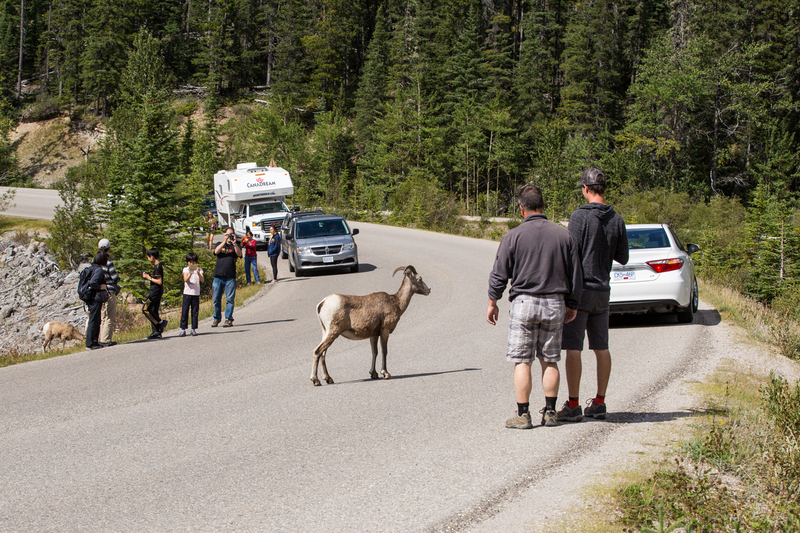 Always ensure you maintain a safe distance from wildlife as they can be unpredictable when provoked and no one wants to get injured or worse, on vacation! 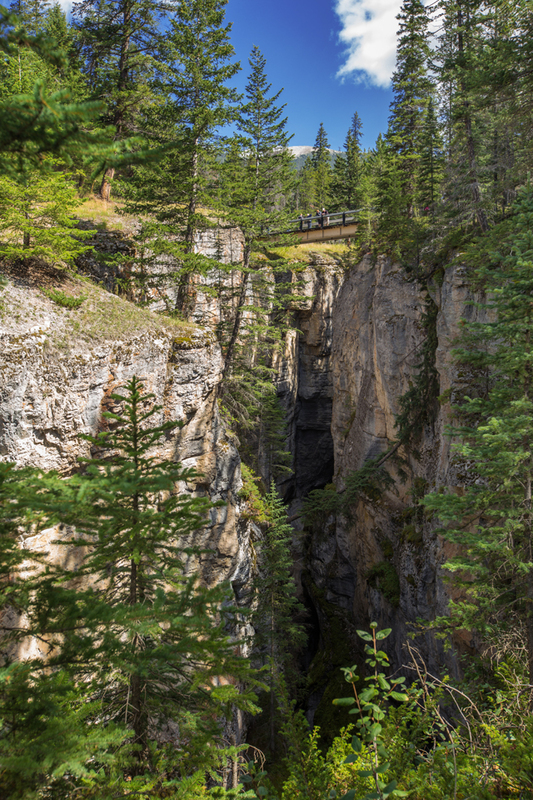 Before heading back into town, we stopped at Maligne Canyon where you can hike to six different bridges. 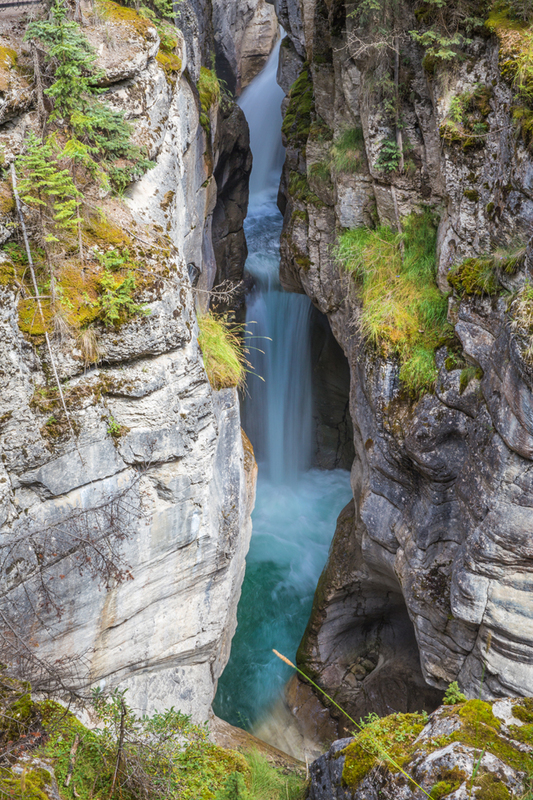 Similar to Johnston Canyon in Banff, Maligne is an impressive visit filled with waterfalls and limestone rock. 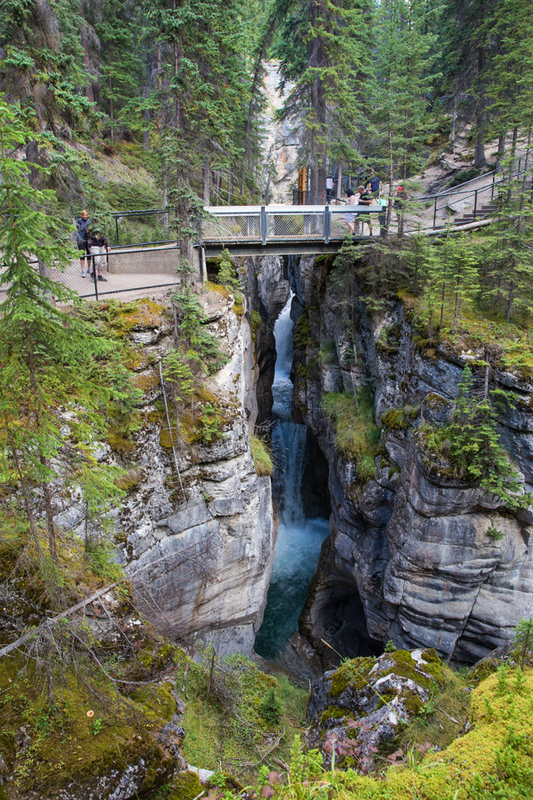 On our visit, we decided to hike to four of the six bridges and drove to the other two. 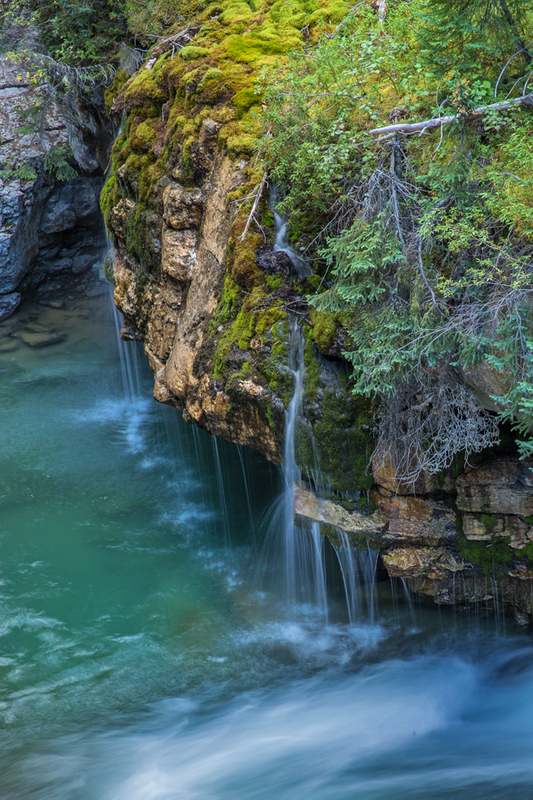 If you decide to hike to all six bridges, the roundtrip distance is about 4.5 miles. 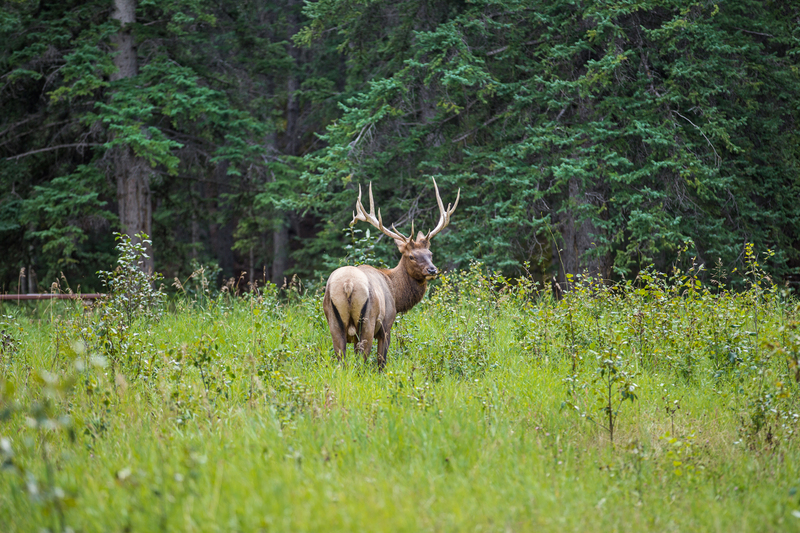 At the last bridge, we were greeted by a special visitor, a bull elk! 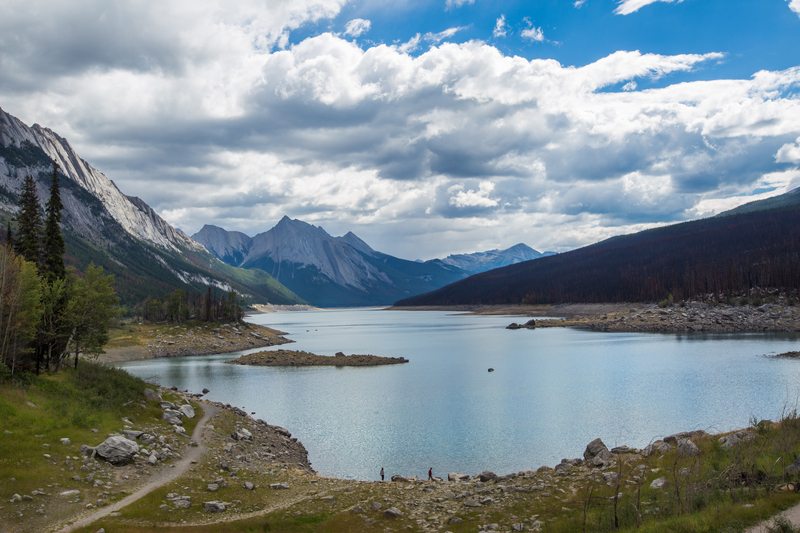 Pyramid Lake was the next stop on the day and is another popular spot, thanks to Pyramid Island. 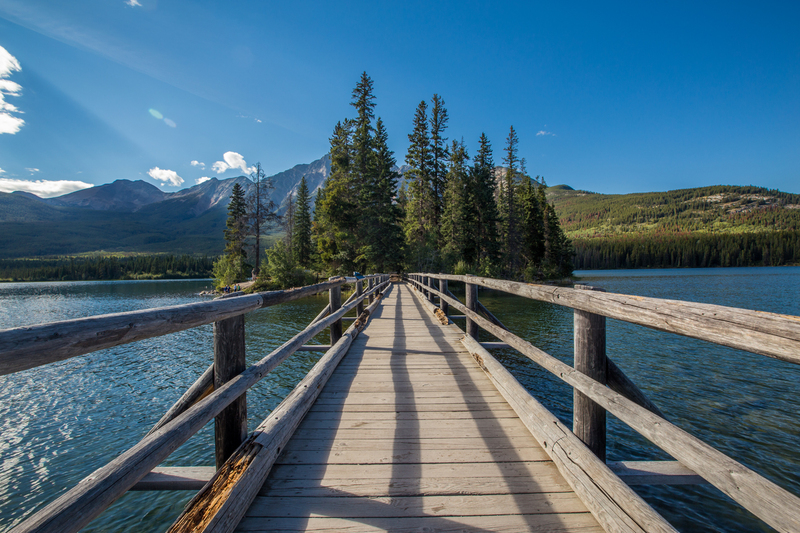 Cross a small wooden bridge, and you can walk around the small island in just a few minutes. A popular destination for weddings, on our visit we found it was also a popular destination for bugs. 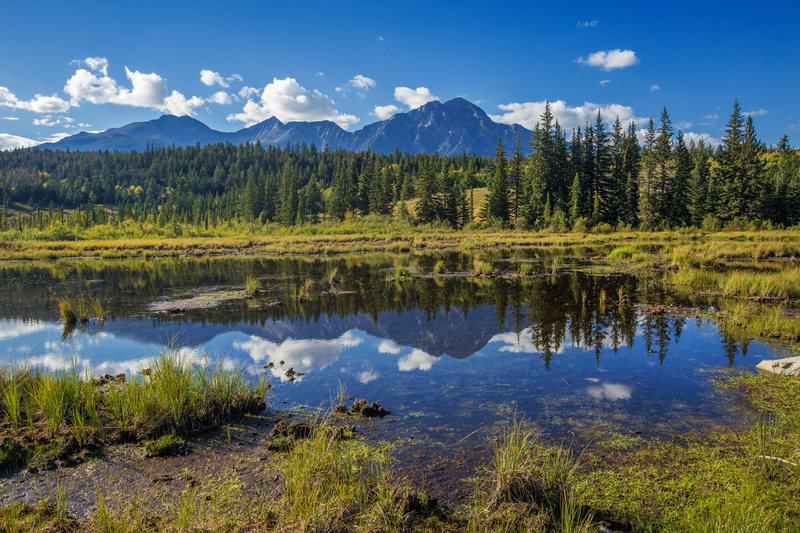 After a quick stop on the island, admiring Pyramid Mountain, we made our way back to Jasper, stopping along the way for some nice reflection shots. 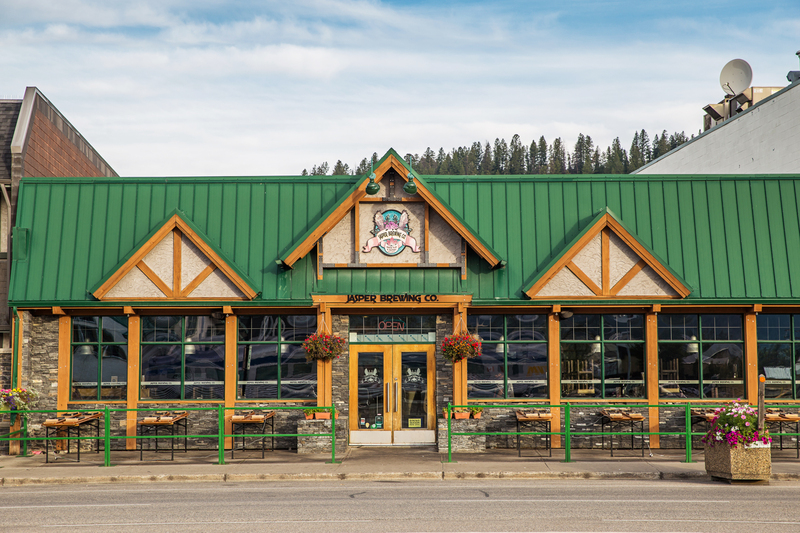 Back in town we washed up and and made our way to Jasper Brewing Company for dinner. Despite it being a Thursday night, the place was packed! Fortunately, we were able to snag a couple seats at the bar as most guests were waiting for tables. Tip: If you’re in a party of two or less, try sitting at the bar, particularly at busy restaurants. Service is generally faster, and you tend to get good recommendations (like Julie’s Elk Meatloaf), as we did, from the bartenders. 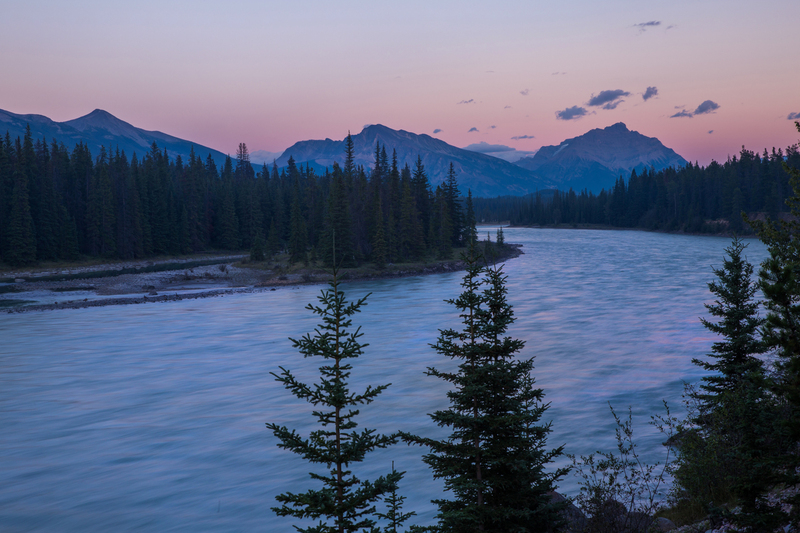 With our bellies full, we made one last stop on the evening to catch the sunset on the Athabasca River on the edge of town. 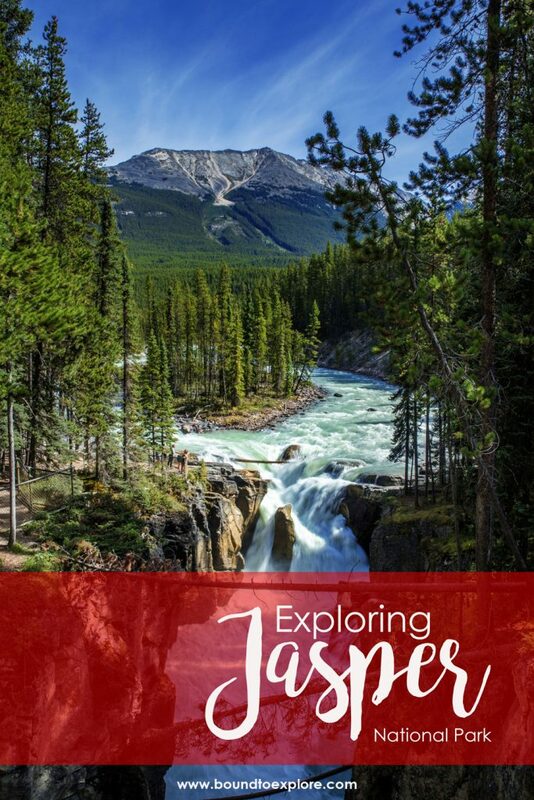 A great way to end a fun filled day exploring Jasper National Park! 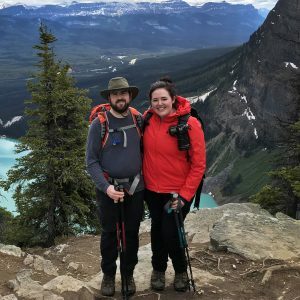 These photos are amazing, Julie!